When Alan Laties visited a friend and colleague in West Mount Airy, Laties immediately became interested in the neighborhood and asked his friend to keep an eye out for properties. It wasn't long before the friend called to say his neighbor's home was on the market. Laties "bought it right away," said his wife, Deena Gu. Since 1984, when they moved in, the couple have undertaken a variety of renovations. "The house was dark," she said. 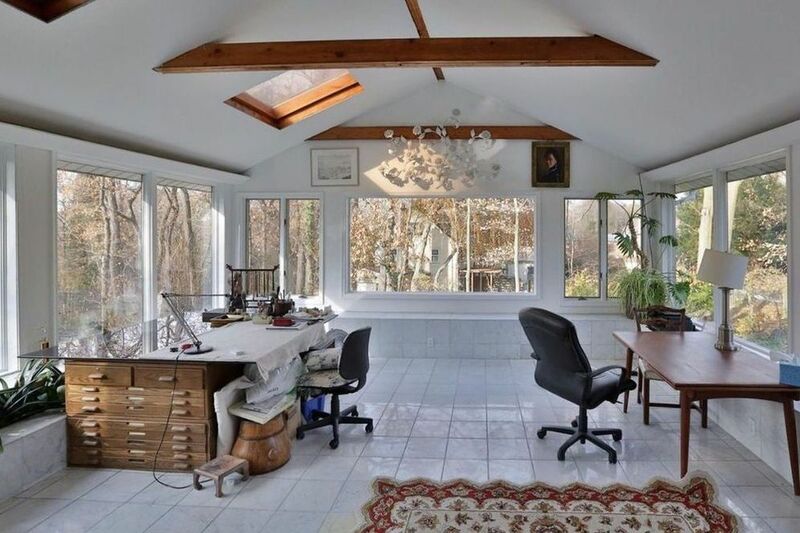 "So from the dining room, we took the entire wall out, adding the sunroom." The couple considers the sunroom their dining room because they eat most of their meals there, she said. They also added a studio above the garage where Gu paints. "Basically, we had redone almost every single room," she said. The studio and the first-floor renovations have brought plenty of light into the home, she said. "The ceiling is just really high, and the entire house has just so much light." The property also features a master suite with its own dressing room and an en-suite bath with jetted tub. Gu said the couple has enjoyed the 30 years they've spent in West Mount Airy. "It's been a wonderful neighborhood," she said. "You are in the city, and you are in the country." She especially enjoys the proximity to Wissahickon Valley Park. "Down the driveway is the trail," she said. "For people who appreciate nature, this is just ideal." But now the five-bedroom home is more space than the couple needs, Gu said. "Because of the size of the house, we barely ever go up to the third floor," she said. "We decided to downsize." The home is listed with Marilou Buffum at Berkshire Hathaway HomeServices Fox & Roach for $1,050,000.